Hey Dolls! Welcome to Champagne Sunday, the 2014 Olympics Edition! The Opening Ceremonies commenced Friday night with much pomp and circumstance; and Sage Kostenburg won the first USA Gold Medal on Saturday for Slopestyle Snowboarding. What better way to celebrate Champagne Sunday, than to sip on a libation that pays homage to the spirit of the games. Chin! Chin! 1. Place ice, gin and vermouth in a mix glass. Add ice and stir 40 times to get very chilled. 2. 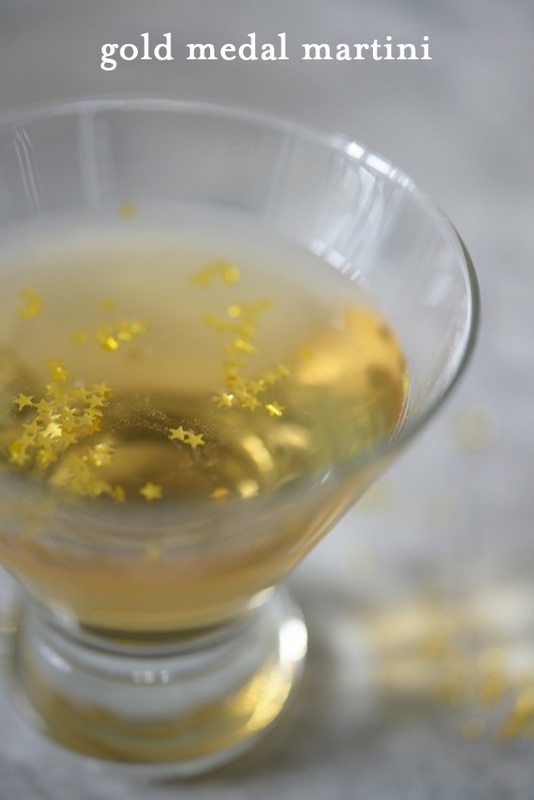 Strain into a martini glass and add gold stars as a garnish. “Citius ~ Altius ~ Fortius … Higher ~ Faster ~ Stronger.” Go USA! Recently I had a conversation with one of my Dolls, who shared that the most stressful part of her day was deciding what to wear in the morning. I was taken aback, because she is perfectly coiffed head to toe whenever I see her. I soon realized that a lot of women feel this way. However, with the addition of some must-haves in their closet, and they can start the day with a little less angst and a little more confidence. 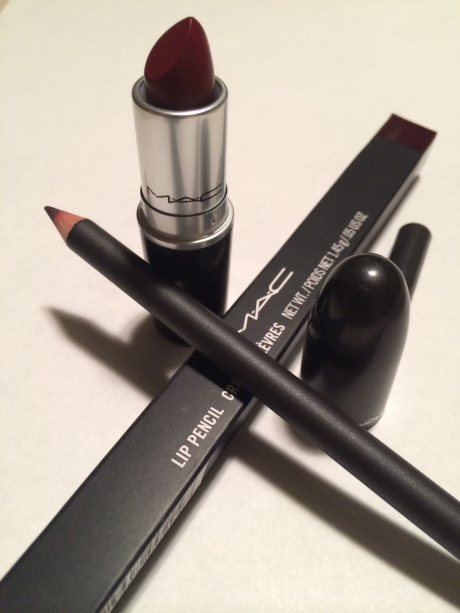 So here it is, my list of 5 must-haves. Let’s go. 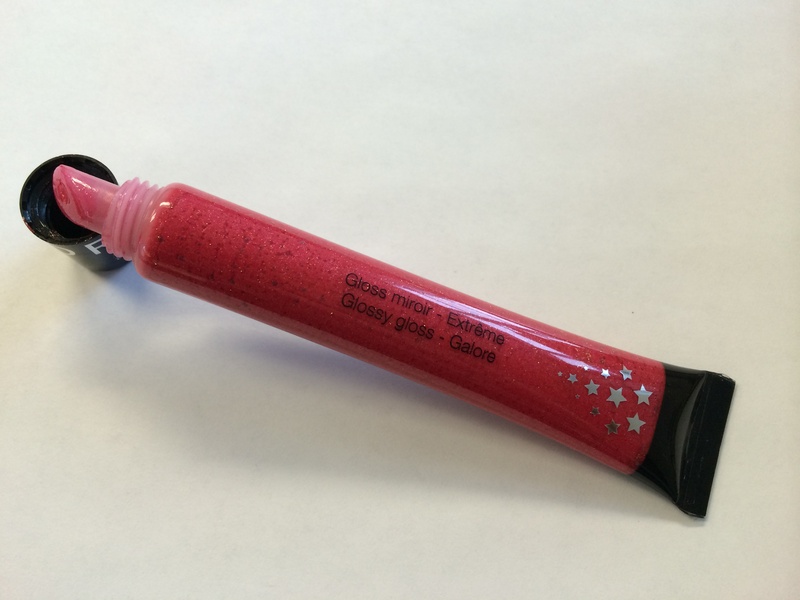 The pump is a true fashion classic and is associated with style and glamour. 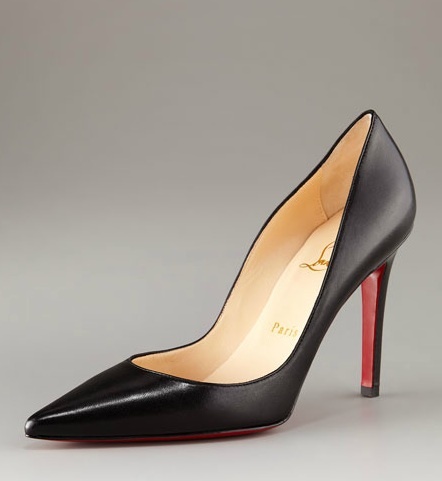 A Doll needs many pairs for many reasons; but the true must-have is a classic black pump in leather (and patent). 2. 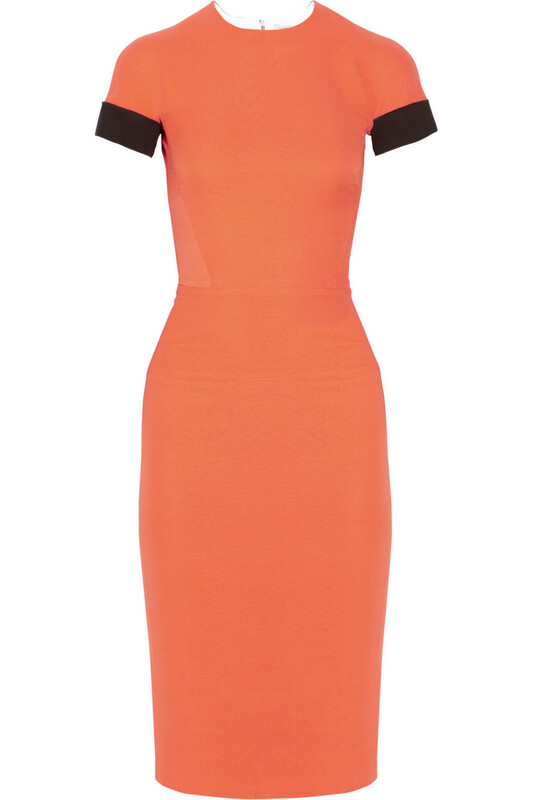 The Shift Dress or The Sheath Dress. A shift is commonly confused with a sheath. Both refer to uncomplicated-looking dresses that end somewhere around the knee. 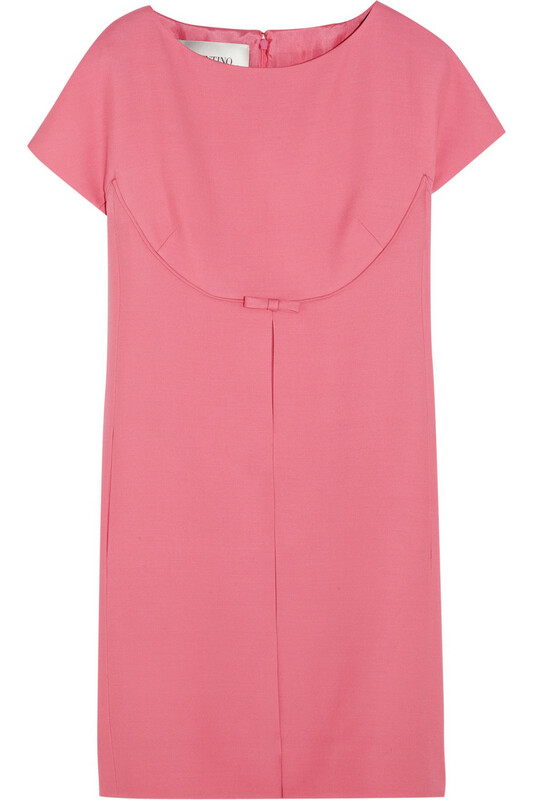 The difference is that a shift tends to be less fitted around the waist and hips. 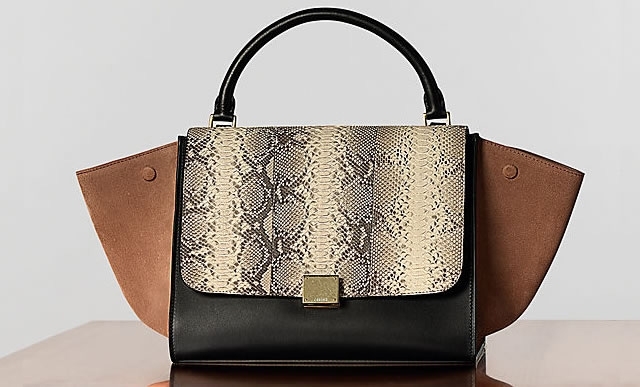 The Celine Trapeze Bag might be so Twenty-Thirteen, but it’s still a great tote. It comes in solids and prints, leather and suede; but more importantly is stylish, yet sturdy. A great clutch is also a must-have wardrobe staple. 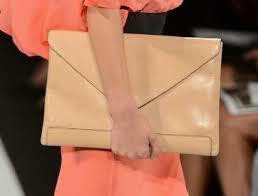 I love the soft-clutches being shown on the runways. 4. The Perfect White Blouse. There is nothing like a perfectly crisp white blouse. In my mind it takes a skirt, suit or pants from 0 – 10 in a matter is seconds. I particularly like a white blouse with a french cuff. If you don’t have cuff links, borrow your hubby’s or S/O’s. There are some days, and evenings, that call for a more ornate earring; but for everyday, a Doll needs a go to pair that fit every outfit, for any occasion. 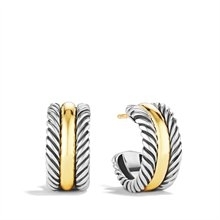 The go-to designer, David Yurman. His classic cable hoops never fail. They are simply a classic. I know I said that these were my five must-haves, but the ultimate go-to frock for those mornings when you can’t decide what to wear is the Diane Von Furstenberg Wrap-Dress. This looks great on women of all shapes and sizes. 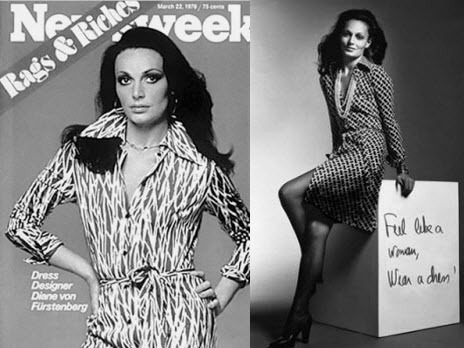 Peep these pictures of DVF from 1974 in her original wrap! PS ~ She’s doing iPad and iPhone cases and covers now! There you have it, my six must-haves. Leave me a message with the go-to staples in your wardrobe. Hey Dolls! I am calling this a “Wednesday Quick Post.” Several weeks ago, I posted the first edition of “Get Your House in Order,” with helpful hints from the ultimate domestic guru, Martha Stewart. Madame Stewart shared a daily checklist for keeping our homes needy and tidy sans outside help, or for between weeks when your help is not scheduled. 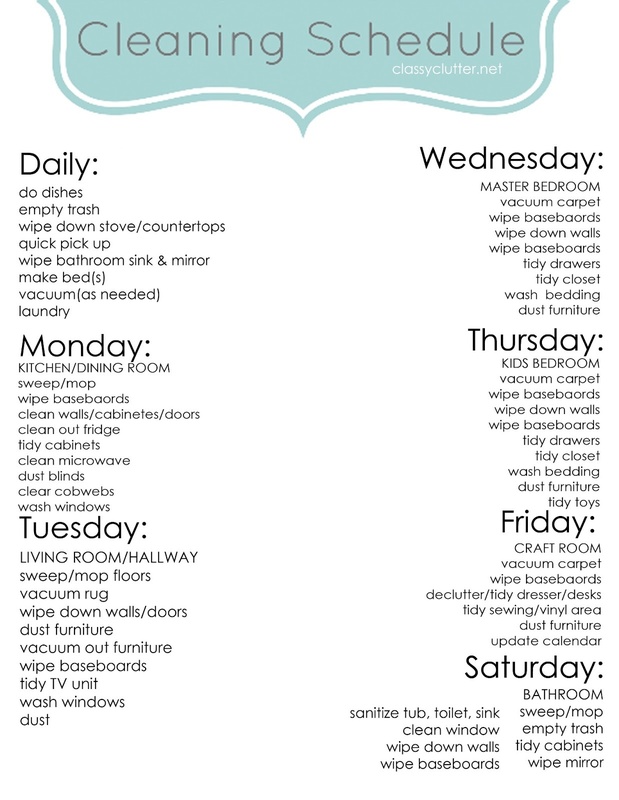 I have since found another helpful daily schedule to follow. Yes, I like lists and to-dos; and love the idea knowing exactly what I am going to tackle on a daily basis. I hope that you also find it useful. Don’t forget to “like” Pretty Domestic on FaceBook; and on Instagram and Twitter @1prettydomestic.